The new year brings more changes. I am now playing lead guitar for the Jimmy Buffett tribute band Parrotbeach. A link to their website and schedule is on the new LINKS page of my site. I still play with John Frinzi whenever I get the chance, so keep an eye on both schedules. I will be heading down to Key West on January 24th to play a few jobs with my good friend Yankee Jack at the Bull on Duval Street. 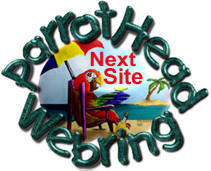 I will open with Parrotbeach at Margaritaville on Tuesday, January 30th through the following Tuesday, February 6. Then it's back north for Parrotbeach dates. As mentioned on the home page, I am looking to fill out my schedule with a house gig for the solo act through April. Somebody should put a bug in the ear of the YR Club and Golden Oaks to see if we can get some dates happening there as well. It always helps to be requested at a venue - thanks for the plug. If there is someplace else you would like to see me perform, put a word in at the venue and let me know to follow up. Parrotbeach has a pretty busy schedule come the summertime, so let's get some solo action going while I'm still available. Of course the BEST way to see me is to book a HOUSE CONCERT - give me a call and we can work something out! Have a great 2007 - I will try to keep the updates more current, but you know how it goes... If the site gets too stale - please scold me via email! brings out the best in my performance. Please check out the interview with Billy Peoples - The Old Parrothead - featured on TropicalDreams.net -This interview was a lot of fun! Many thanks, Billy! March 17 at the Golden Oaks Golf Club was a great time with Jim Murray on Trumpet, Flugel Horn and Trombone! There were some tasty "jazz guitar and horn" only songs along with sequenced versions of Rise and Europa to feature the trumpet. Jim did a great job on vocals for songs like One In A Million and Beyond The Sea. There was a special request for At This Moment by Billy Vera and the Beaters (thanks, Barry, I hadn't done that song in 10 years!). Thanks to all who came out. It was opening night of Jazz Fest and WFMZ Channel 69 was there. The video clips were featured on that night's news cast at 10:30 PM. Check the clip out here (Requires Real Player to view video). The "I Need Gas Money" release of the Acoustic Collection CD is now available at gigs and online. Currently featuring 11 tunes recorded live for 10 bucks (Cheaper than Napster!). As with everything, it is turning into a work in progress. It includes the 5 Stateliner songs, the 4 Raubsville DVD songs, my original song, Rainbows, and, by special request, the live Silver Lake version of Hey Wife (Seven Drunken Nights). Add the DVD for 5 bucks and you get a cool DVD case for both! Online purchases can be made using PayPal - email for details! Sincere condolences to John Frinzi and his family on the passing of his father, Duke, on Sunday February 12, 2006. Mr. Frinzi was a well loved and inspiring man. He will be sorely missed and surely remembered. MJ played with John Hain and the Mango Summers Band at Stella Restaurant Bar Club in Reading, PA for the Berks County Parrothead Club on January 29. It was another afternoon of music, margaritas and merriment to benfefit Habitat for Humanity! Thanks for your support! See JF site for details! Another great trip to Key West in November for MOTM 2005. The John Frinzi Band backed Mac McAnally and Club Trini for the Street Fest and was joined by the Coral Reefers on the Beach Stage at the Reach Resort. Check out the new MOTM pix page for shots of MJ and the JFB with the Coral Reefers. 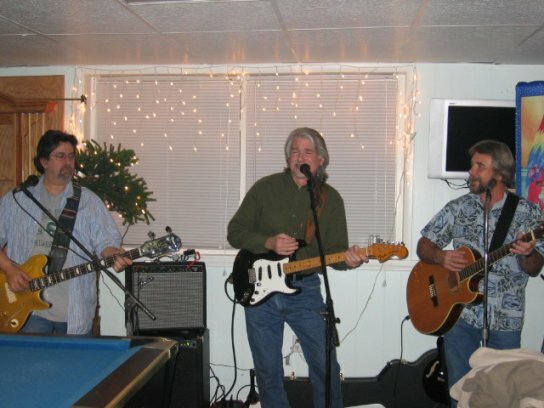 The John Frinzi Band backed Coral Reefers Michael Utley, Robert Greenidge and Doyle Grisham from Jimmy Buffett's band for a Between Concerts Party at Katmandu in Trenton NJ on Friday August 26, 2005! Thanks to our friends who came out to the Rodeo Bar in NYC when the JFB opened for the James Intveld show. Another cool night! A VERY SPECIAL thanks to Vinny (& family!) and Tim for making the trip to Cheeseburger In Paradise at Secaucus, NJ. It was great to to see you again!! More info and pix to come from the MOTM 2004 Road Trip! This page was last updated on 09/02/11.